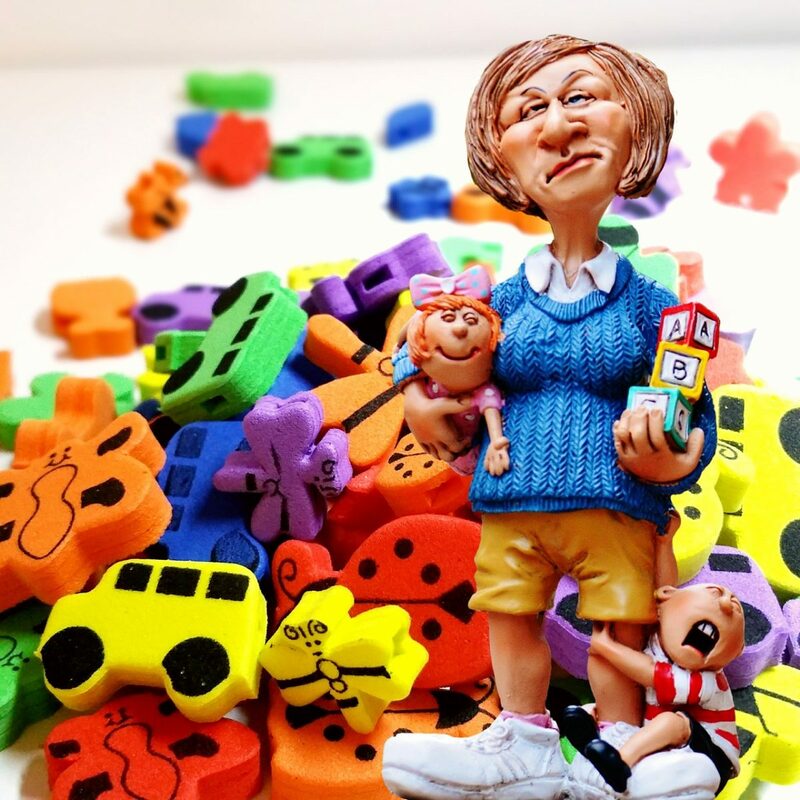 Finding the perfect babysitter or nanny can be quite the daunting task. You must make sure the person you choose to watch your kids had professional experience, is fun, loving, and will treat your kids just as well as you would. Therefore, it is always a good idea to use credible websites when searching for a new nanny or babysitter. In this post, we will take a look at some of the best websites to find nannies and babysitters in Jersey City. Care.com is one of the most well-known and reliable websites to find nannies and babysitters on the Internet. 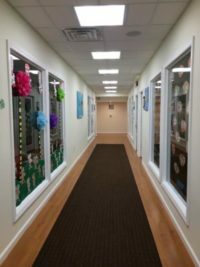 They offer options like in-home and out-of-home care, sitters for date nights, nannies for full-time schedules, live-in and live-out nannies, and just about anything else you could need. When going to hire a babysitter or nanny, you can view individual nanny’s profile, see their experience, background, schedule preference, if they have a background check available to view, if they are CPR certified, what their interests are, and so much more. From there, you can choose to message the individual, ask for an interview, and eventually meet them in person to make sure they are the right fit for your family. When hired, you can even pay the nanny or babysitter right through the Care.com website for secure payment. 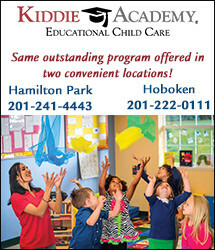 Care.com is a great resource to find nannies and babysitters in Jersey City. 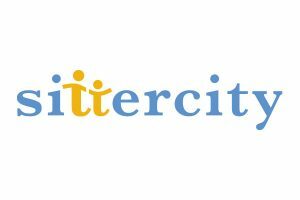 Sittercity is also a very well-known babysitter and nanny website as well. They are very similar in function to Care.com. You can post a job listing, have people apply to your job, or actually search for a nanny or babysitter yourself. You can view profiles of different people where you can see their experience, background, education, preferences, and much more. This site also allows you to request background checks on the people you are interested in, do phone or in-person interviews, and check out the references each individual provides. 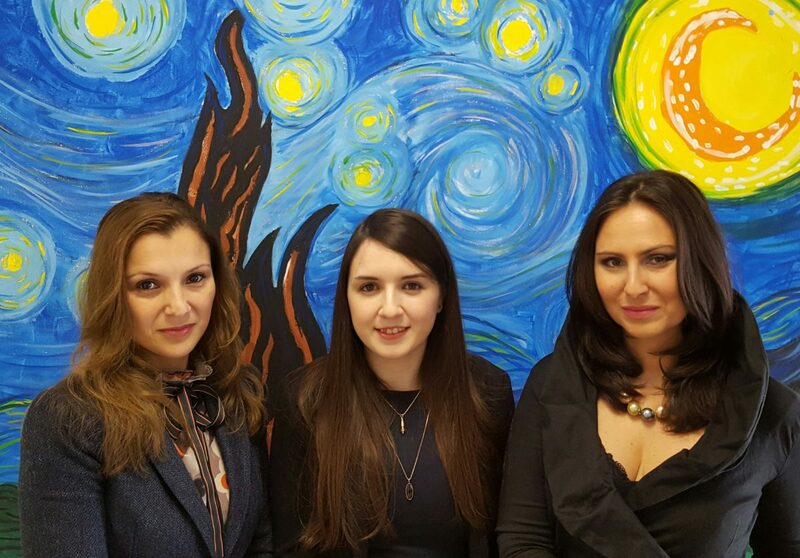 You cannot go wrong with Sittercity.com to find nannies and babysitters in Jersey City. You can book a babysitter or nanny right online and also pay them through the website as well for a totally hassle-free experience. This is a super cool and fast option for finding a date night sitter or last minute sitter. 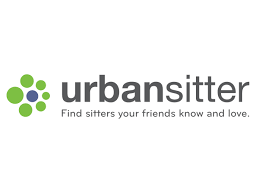 You will find plenty of nannies and babysitters in Jersey City through Urban Sitter. Just as with the sites discussed above you can search through different contendents profiles, read over their background and experience, and much more. Whether you are looking for a nanny from your neighborhood or you are looking for an Aupair, this website has something for everyone and every family. This website offers very similar features the options discussed above. 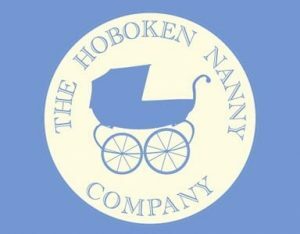 If you are looking for an even more local nanny placement company, look no further than The Hoboken Nanny Company – established in 2010 by British nanny Claire Jones. This is a local professional nanny placement service that does all the work for you. They will help you find the perfect nanny for your family based on your needs and personal preferences. The French American Academy, Jersey City, NJ is located in downtown Jersey City and walking distance from Grove Street Path Station. The French American Academy opened in the former St Mary High School. Their charming 3-story building, offers 30 classrooms with bright light, warm colors and ample space. We were warmly greeted by their faculty and students. A special thank you to their center director, Jean-François, for giving us his time. This school is part of a group of schools called the French American Academy founded 10 years ago. 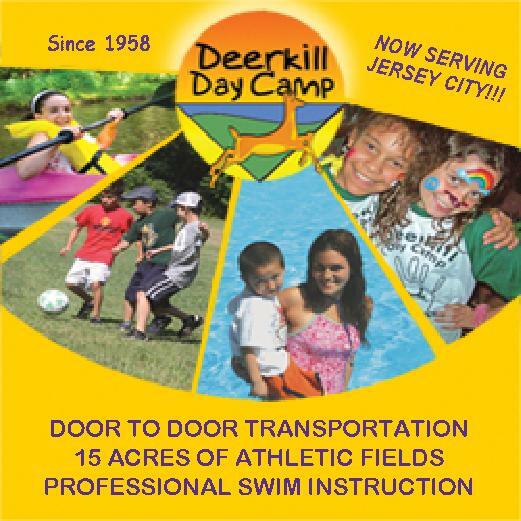 The French American Academy first opened three Pre-K classes in September 2007 in Dumont, NJ. The school has grown ever since. 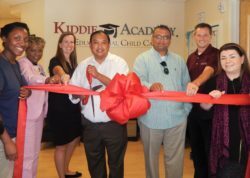 We moved to a bigger campus in New Milford in Bergen County in July 2010 and shortly after opened a second campus in Morris Plains in Morris County in September 2010. The Jersey City campus opened its doors in 2012. 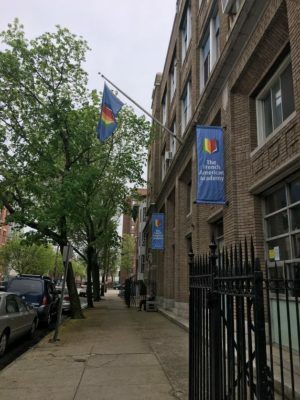 The French American Academy of Jersey City is a private bilingual school. We offer an early-start, gradual immersion, dual language (French and English) education to students from Pre-K2 through 4th grade. 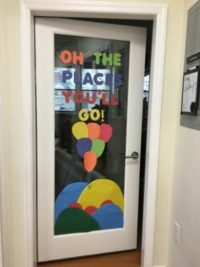 From Sep 2017, we are expanding to 5th grade. 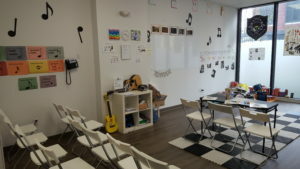 In Sep 2018 we will open the Middle school in Jersey City with 6th, 7th and 8th grades with French, American & Spanish tracks. We will be accepting students from various international backgrounds and communities. 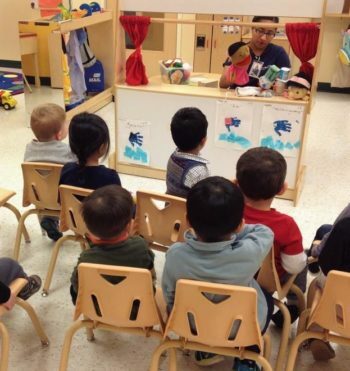 There is more emphasis on the French language in the early years (Pre-K-Kindergarten) to set up the foundations. From 1st grade, instruction in English gradually increases and by 5th grade children are spending about 60% in French and 40% in English. 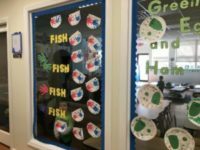 Bilingualism is at the core of our curriculum and in some classes like in science, students are taught in both languages with both an American and a French teacher present in the classrooms. 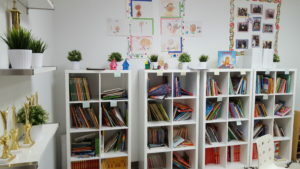 It’s a demanding bilingual curriculum with an emphasis on projects and investigation. In our community, we welcome children from families whether these families speak French at home, or English or another language. 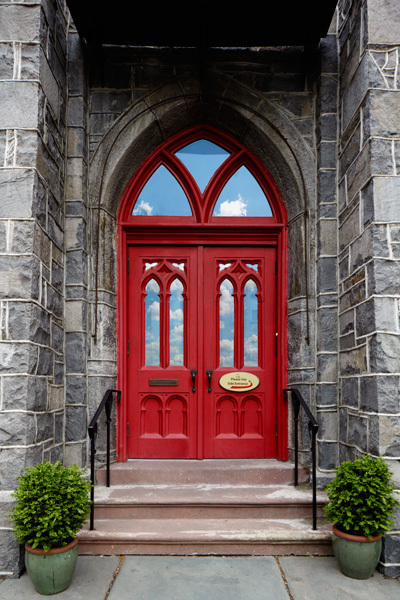 Our school is accredited by both, Middle School Association on College and Schools, and the National French Ministry of Education, and is a member of New Jersey Association of Independent School. 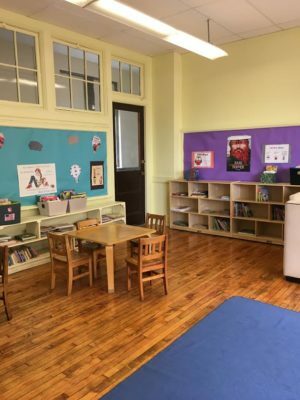 The French American Academy, Jersey City, NJ school day runs from 8.30am -3.15pm. Before-school-care opens at 7:30am. After-school-care starts at 3.15pm and ends at 6:30pm. A bus from Bus4us company brings the students from Weehawken / Hoboken to Jersey City in the morning and take them back in the afternoon. In Jersey City we partner with Simply Gourmet. You can easily order your child’s lunch online with them or send your child with a lunch box. Their meals are nutritious, delicious, and kid friendly. Our other campuses have their own catering company. We have this planned for Jersey City too in the future. Our Enrichment Program offers every day at least two different classes: one for older children and one for younger children. 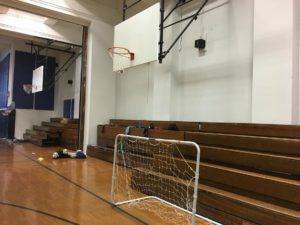 Students also enjoy a huge inhouse gymnasium for physical education or indoor recess. We also offer mini camps in February and over Spring break. Everyone is welcomein The French American Academy, Jersey City, NJ! We also have Financial Aid budgets for qualifying families. 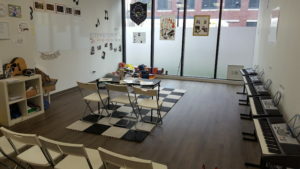 The French American Academy is a school of excellence and we hope you will give this gift to your child. 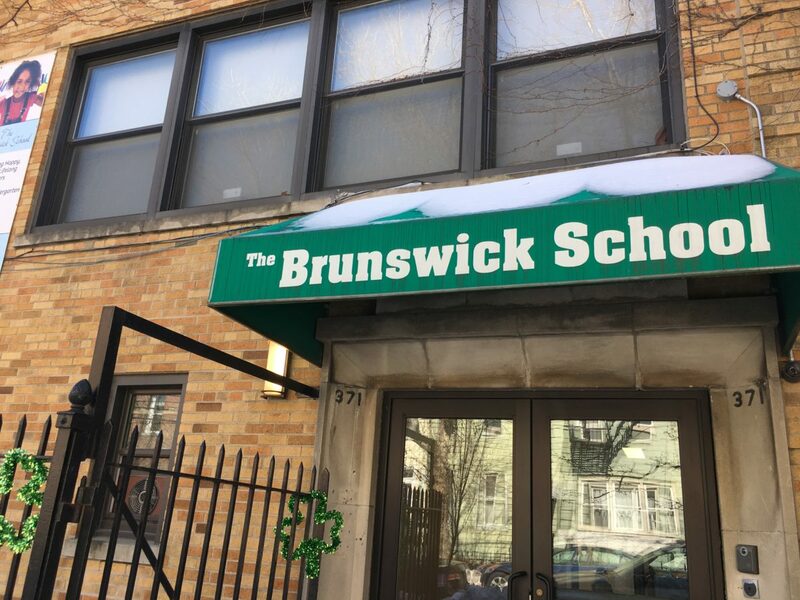 The Brunswick School in Jersey City is conveniently located in downtown JC, 2 blocks from Hamilton Park. Huge parking lot for parents. Citibike stand just opposite to the school. 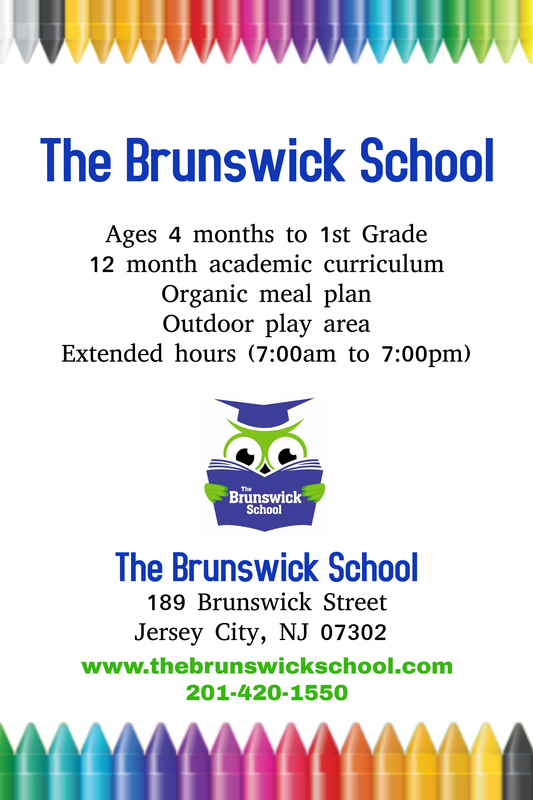 How did the Brunswick School come about? What inspired you? We opened a year and a half ago in July of 2015. 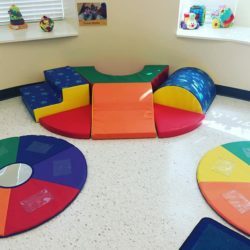 Obviously I have a passion for children in early education but my background is in Human Resources so I wanted to start a business that could make a difference in the community. I spend most of my time interacting with the teachers and making sure they are happy. If teachers are happy, children are happy and as a result parents are happy. 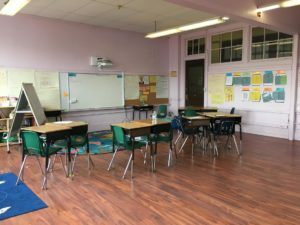 The teachers here have a true passion for what they do…I wish I could spend more time in the classroom…but the highlight of my day is when one of the teachers brings a couple of kids in here and shows me what they’ve done. I also recognized that there was a huge demand in this area for quality education. There are so many young families here now in Jersey City. 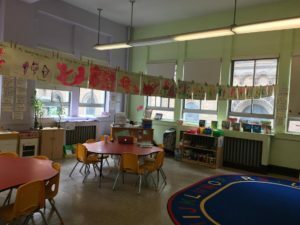 At the time when we started building the school there were not many options…now fortunately there are a lot more options for the community which is great, as it will bring more people to Jersey City. But we always have extra hands and staff too. We have 11 classrooms and in the process of opening up an additional classroom and indoor playroom coming very soon. This used to be a catholic grammar school, so its nice that we can continue to expand into additional spaces that already exist within the building. 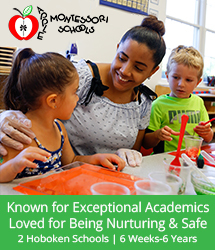 Our program starts at 6 months up to Kindergarten. 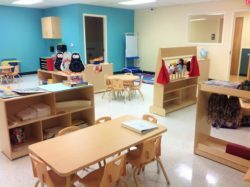 We have two baby rooms, three young toddler rooms, four older toddler rooms, One Pre-K room and One Kindergarten room. Yes! Our chef is fantastic. She provides breakfast, lunch and snacks to the children. It’s all organic and super healthy (it’s busy bee organics). It’s included in the tuition. We also teach the children about what they are eating and why. 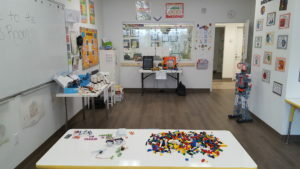 We are open from 7 am – 7pm which is nice and convenient for parents that work and have to commute. Our core day starts at 8.30 am and ends at 4.30pm, but before that and after is before care and after care. Our director Erin and I built the curriculum. We researched various different curriculums that are out there and created our own. We didn’t want to subscribe to one but take the best of all. A lot of it is based on Arts & Crafts, Music, Movement but heavy on Academics (Math, Reading, Writing, Science, History) through utilizing different creative outlets. 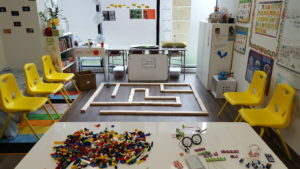 That’s our whole premise here..teaching the children to enjoy the process of learning. 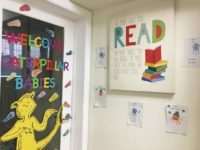 For the little ones it’s more about the socialization and maintaining a structure, trying to maintain the routine the parents have at home, here in the school. The kids get Zumba and Yoga and the older kids have Science Enrichment once a week and Spanish a few times a week. We also have Rockasorri coming in once a week for Music. We also have an outdoor play area and we take them out twice a day. 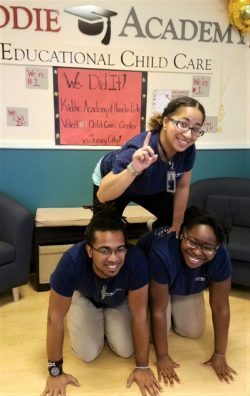 Yes, we do have a summer program. Most of the spots go to siblings that aren’t in the school. 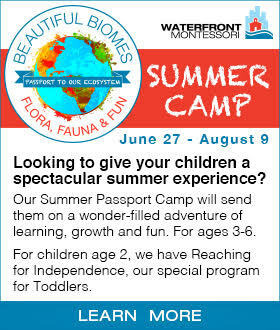 Our summer camp is separate from regular school. 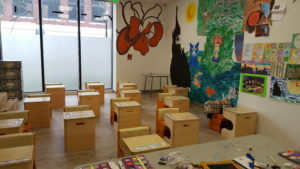 We have a separate classroom for summer and it’s more fun based with field trips, visits at Hudson Play etc. And the kids are older. 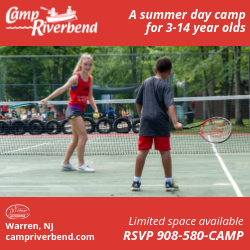 Enrollment for camp is open and we ask for a two week minimum. How do you foster Diversity? We celebrate every holiday and ask parents to come in and celebrate with us. Our teachers are from different nationalities and backgrounds and they also help us carry things out like that. In your opinion, what sets your school apart from others? 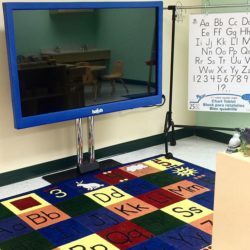 -We have the best teachers, they are just amazing human beings that care with great educational backgrounds and are certified. -Our Food! These kids eat better than most of Jersey City! Super healthy and organic.The chef makes sure they are getting a balanced diet between what they like, fruits and vegetables. We also take care of dietary restrictions.